Protecting a property from development takes on added significance when your family has been managing that land since 1742, when it was part of a 5,000 acre land grant from King James III. Louis Kean and Cora Pennell own 289 acres along the South Anna River in Louisa County. 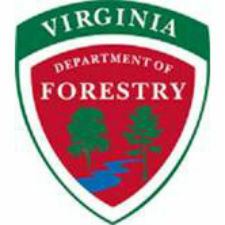 Together with the Virginia Department of Forestry, they have ensured that the property, called Riverside, is conserved forever through an open-space easement. Kean and Pennell have a deeply rooted connection to the land, which has been owned and managed by Mr. Kean’s family since 1742. Today, the Riverside property provides the family with opportunities for recreation and wildlife observation, for appreciating the beauty of the river and as a working landscape that generates income for the family through active management of forests and agricultural fields. The landowners are clear about their reasons for protecting the property. “Since so much land nearby has been developed and is continuing to be developed in surrounding counties, we believe it is important to preserve the acreage we have, in perpetuity, for future generations, for wildlife habitat and cleaner water, and for love of the land. It is a small legacy we can leave to Virginia,” they said. The open space easement ensures that the majority of the property will remain forested and undeveloped, protecting its important natural resources, while also allowing for the continued economic viability of the property. It requires forest management activities to be done sustainably and according to Virginia’s Best Management Practices for Water Quality with the aim of protecting the South Anna and its tributaries both for wildlife and as a drinking water source for downstream communities. If trees are harvested, the areas must be replanted or allowed to regrow as natural forest; and in the most ecologically significant areas, such as the riparian buffers along the South Anna River, commercial timber harvesting is not permitted. In developing the Riverside easement, certain areas were identified that warranted extra protection due to the presence of significant natural resources. The South Anna provides habitat for three rare mussel species and the riparian forest adjacent to it contains a significant natural community and rare plant habitat recognized by the Department of Conservation and Recreation’s Natural Heritage Program (NHP). The Virginia Department of Game and Inland Fisheries (DGIF) has also designated this stretch of the South Anna River as Threatened and Endangered Species Waters. “It has truly been a collaborative effort, working with other agencies to identify the property’s most critical natural elements and with the landowner to include specific protections in the easement for them,” said Kim Biasiolli, forest conservation specialist for VDOF. Those protections include establishing riparian buffers along the South Anna that are wider than typically recommended and restricting disturbance within them, in order to help support the rare species and habitat known to occur there. The VDOF’s forestland conservation program focuses on protecting large, contiguous blocks of forestland for both the ecological and economic benefits they provide. The Riverside open-space easement illustrates how the program is working to strike that balance and simultaneously achieve both objectives in order to protect healthy, sustainable forest resources in Virginia.